The diversity and unity of life on Earth can be explained by the process of evolution. Over time, the process of natural selection leads to both the extinction of existing species and the evolution of new species. Evolution accounts for the most fundamental features of the world around us: the similarities among living things, the diversity of life, and many features of the physical world we inhabit. Explanations of these phenomena in terms of evolution draw on results from physics, chemistry, geology, many areas of biology, and other sciences. Thus, evolution is the central organizing principle that biologists use to understand the world. To teach biology without explaining evolution deprives students of a powerful concept that brings great order and coherence to our understanding of life. Abiogenesis – how the very first living cells came into existence. Evolution – how cells (and later organisms) changed over time. Darwin’s theory of evolution mostly concerns itself with the second topic. He wrote very little on abiogenesis. Abiogenesis & spontaneous generation – how the very first living cells came into existence. Where did the idea of evolution develop? How has the idea of evolution changed over time? A fact is something that has really occurred, or is actually the case. A hypothesis an idea about how something happened, an educated guess. A phenomenon is something amazing. Facts are true, justified beliefs. A hypothesis is a testable, proposed explanation for a phenomenon. A phenomenon is any kind of observable or measurable occurrence in nature. What are some examples of phenomenon? * When water gets hot enough it boils; that’s a phenomenon. * When a rock is dropped, gravity pulls it down, faster and faster; that’s a phenomenon. * When you pluck a guitar string, it vibrates and creates a musical sound; that’s a phenomenon. When scientists describe “the theory of evolution” they are using the word “theory” in a very precise way, in the same way we talk about the theory of electricity and the theory of gravity – and no one denies that electrical phenomenon or gravitation are real. There are many different ways to create electrical sparks; electrical currents, and millions of different devices (and living beings) that use electricity. Yet all this can be described using just four math equations – they describe all behaviors of electricity. Together these equations (Maxwell’s equations) are the theory of electricity. Electricity is real. It’s not “just a theory”. The existence of these electrical phenomena are facts: the relationship between these facts is the theory. Every time you drop an object, it falls. The longer it falls, the faster it goes (unless something like air resistance slows it down). That’s not just true here on Earth – objects are also pulled down by gravity on the moon, Mars, and asteroids. Even the Sun has gravity. There are millions of different objects that respond to the pull of gravity on Earth. 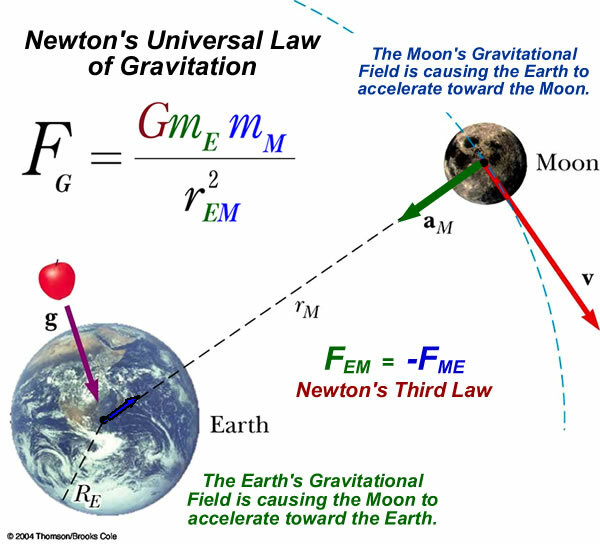 Yet all his can be described using just one math equation, Newton‘s theory of universal gravitation. A rock falling is real; a planet orbiting the Sun is real. That’s not “just a theory”. The existence of these phenomena are facts: the relationship between these facts is what scientists call the theory. Feb 2016 MCAS . The pictures below show the shells of some species of land snails found on a Pacific island. Each species was found on a different hill on the island. Based on the snails’ shell shapes, scientists made hypotheses about the evolutionary relationships among the snails. Which of the following would be the best characteristic to compare in order to test these hypotheses? evidence and on physical similarities among living species. Which of the following provides the best additional support for the scientists’ hypothesis? 8.MS-LS4-4. Use a model to describe the process of natural selection, in which genetic variations of some traits in a population increase some individuals’ likelihood of surviving and reproducing in a changing environment. Provide evidence that natural selection occurs over many generations. Clarification Statements: The model should include simple probability statements and proportional reasoning. Examples of evidence can include Darwin’s finches, necks of giraffes, and peppered moths. 8.MS-LS4-5. Synthesize and communicate information about artificial selection, or the ways in which humans have changed the inheritance of desired traits in organisms. Clarification Statement: Emphasis is on the influence of humans on genetic outcomes in artificial selection (such as genetic modification, animal husbandry, and gene therapy). for limited resources than others. gene flow, mutation, and natural selection.